Welcome to Moonwalkers of Semo. Please explore our website to book rentals for delivery at your location. You can pay check out prices, get quotes, sign contracts, pay deposits or full payments online. You can also call 573-334-0997 with any questions. Moonwalkers has recently exchanged ownership, Knavas Bounce House Rentals LLC is doing business as Moonwalkers of Semo. 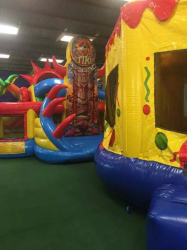 The Indoor Party Room is still available under the previous ownership, along with mechanical rides, to book the indoor party room you can call 573 334 0997 or book here on our site under the “indoor party room” tab.